August 2018 - Presentation of the book "Errant Keepers. Men and wolves in comparison" at the Cimbrian Institute of Luserna (TN), on the occasion of the annual exhibition "The Return of the Wolf", located in the Documentation Center of Luserna. July 2018 - Speaker at the training course "Sheperds & Biodiversity: from pastoral productions to biodiversity conservation" as part of the project "Allupo: from breeding sheep to the conservation of the wolf", supported by Fondazione Con il Sud in partnership with the Department of Biology of the University of Bari Aldo Moro and the Alta Murgia National Park. June 2018 - Matteo spoke live at the popular TV show Rai Scuola ​about his latest work and book Errant Keepers. Men and wolves in comparison. May 2018 - Presentation of the book "Errant Keepers. Men and wolves in comparison" at Natural History Museum of Maremma. April 2018 - Errant Keepers. Men and wolves in comparison, photographic exhibition at Centro Documentazione Luserna (TN) on the occasion of the exhibition "Il Ritorno del Lupo" (The Return of the Wolf), in collaboration with MUSE (Science Museum of Trento). April 2018 - Publication "Valentia, Skellig. 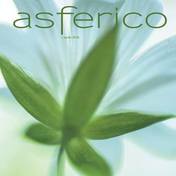 Isole d'Irlanda" - Asferico Magazine (Edizioni AFNI). April 2018 - Presentation of the book "Errant Keepers. Men and wolves in comparison" at Natural History Museum of Florence. March 2018 - Presentation of the book "Errant Keepers. Men and wolves in comparison" at the headquarters of the Alpi Cozie Parks as part of the LIFE WolfAlps Project and the Chantar l'verver 2017/2018. November 2017 - Matteo spoke live at the popular TV show GEO ​about his latest work and book Errant Keepers. Men and wolves in comparison. October 2017 - ​Presentation of the book "Errant Keepers. 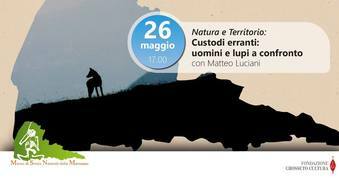 Men and wolves in comparison" during M'ammalia 2017 event "The Mammals week" organized by the Italian Teriological Association, in collaboration with the Faunisti Veneti Association, the M.U.V.E (Natural Museum of Venezia) and the Dolomiti Bellunesi National Park. October 2017 - ​Presentation of the book "Errant Keepers. Men and wolves in comparison" on the occasion of the event "Ancient lands and communities in movement", at the archaeological section of the Civic Museum of Rieti. June 2017 - Presentation of the book "Errant Keepers. Men and wolves in comparison" during Asferico Photofestival 2017 organized by AFNI. Scientific publication - Forest management affects individual and population parameters of the hazel dormouse Muscardinus avellanarius, Mammalian Biology - Zeitschrift für Säugetierkunde, 2014.